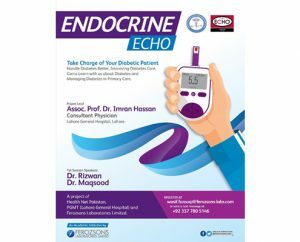 Ferozsons has collaborated with Health Net Pakistan to provide an innovative Diabetes management and training Continuous Medical Education (CME) programme for the primary care healthcare professionals. 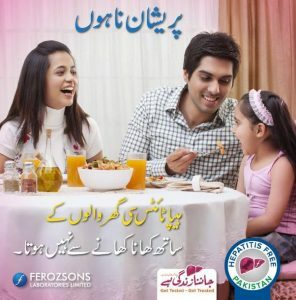 Ferozsons collaborated with HealthNet Pakistan that is responsible for running Project ECHO under the leadership of Dr. Asad Chaudhary. 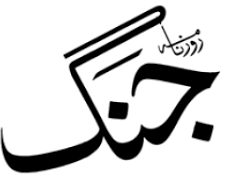 The collaboration raises awareness for hepatitis and is a part of a multi-tier approach to address the issue of rising hepatitis infections in Pakistan. Ferozsons Laboratories Limited has a rich legacy of standing by its values and ‘Putting Patients First’ is the forerunner amongst our values. A recent campaign on raising awareness for Drug Safety and Adverse Events reporting is line with our commitment for patient centricity in everything we do. For patients and physicians, it is very important to be aware of drug safety and adverse events reporting. 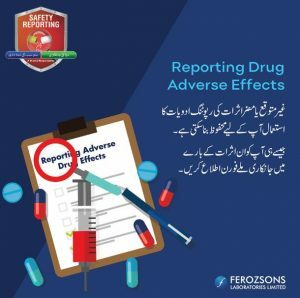 To this end, Ferozsons launched a social media campaign via which we aim to help people understand the value of reporting any side effects they may have after using a certain medicine. 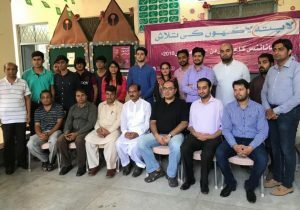 This year Ferozsons Laboratories Limited in collaboration with the Jang Group organized a seminar to celebrate The World Hepatitis Day which is observed on July 28 to promote awareness of the disease that can sensitize the world leaders, doctors and researchers to strive to thwart it across the board from permeation. Leading Gastroenterologists and Hepatoglists including Prof. Anwaar A. Khan, Prof. Ghias un Nabi Tayyab, Prof. Irshad Hussain were present to name a few. CEO of Ferozsons, Osman Khalid Waheed also spoke on the importance linking the undiagnosed patients to cure.